Representatives from Esh Border Construction and Heriot-Watt University met this week to celebrate the beginning of an extensive refurbishment project at the prestigious higher education establishment. Livingston-based Esh has been awarded the contract to completely transform the university’s Cameron Smail Library into a modern and welcoming learning environment for students, lecturers and support staff. The £4m project will see Esh strip back the existing building, before constructing a new layout with replacement fixtures, fittings and decoration. Beginning on the ground floor, the project will be completed over five phases across each level of the live site, which is still being utilised by students and staff as a 24/7 learning resource and place of study. Works will also see the replacement of internal doors, the refurbishment of toilet facilities, and the addition of new windows, as well as new mechanical and electrical installations. “The Cameron Smail library was a pioneering academic building when it was constructed over 40 years ago. It has since been used as a model for universities across the world and we are very proud to play such a pivotal role in securing its future as a modern state-of-the-art learning facility. 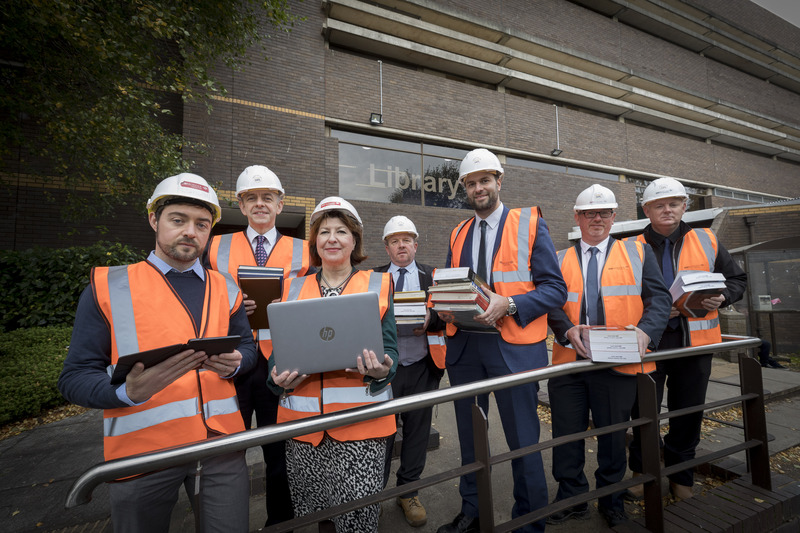 “We’re delighted to be working in partnership with Esh Border Construction on this refurbishment to turn our library into a modern, flexible and comfortable environment fit for a forward-looking ambitious university. “Throughout the planning works we’ve been working closely with students, academic colleagues, library staff and consultants to get the best use of the space to provide access to a wide range of print and electronic resources and comfortable study space to support our students’ academic success. Esh is delighted to work with architects Lewis and Hickey, quantity surveyors Turner Townsend, structural engineers Peter Brett Associates, mechanical and electrical engineers RSP and project managers WSP Parsons Brinkerhoff. The Heriot-Watt projects follow a strong pipeline of work in the education sector for Esh Border Construction.